A home improvement form is filled by an owner of the house requesting the contractor for renovating the house. Renovation means making changes to the present condition of the house. The home improvement form contains the detailed changes that are required in the house, architectural changes desired, painting etc. along with this form, permission by the civic authorities needs to be submitted. This is necessary so as to avoid any future objection for the renovation of the house. 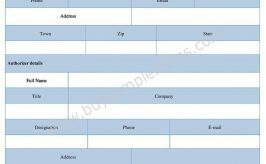 Capital home improvement form is needed when any addition or alteration has to be done to the existing house such as building a deck, installing kitchen cabinets etc. Similarly there is continuous improvement form also available for customers..The contractor should submit an estimate form to the owner before committing the work. 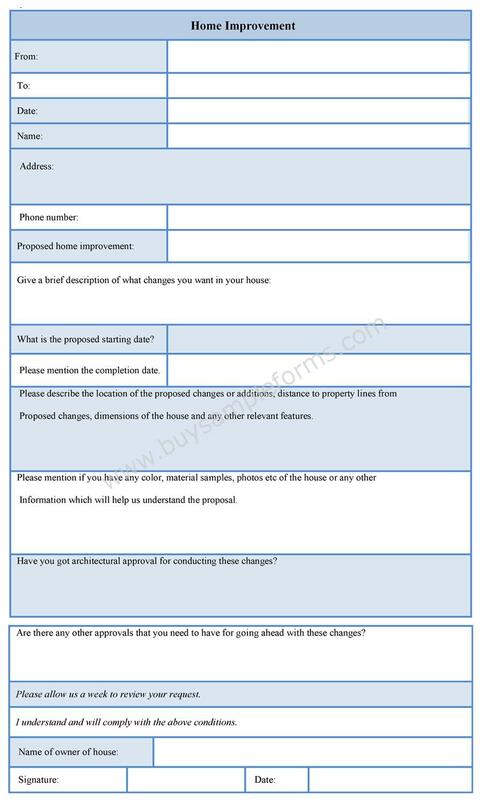 Below is an example of Home Improvement Form. 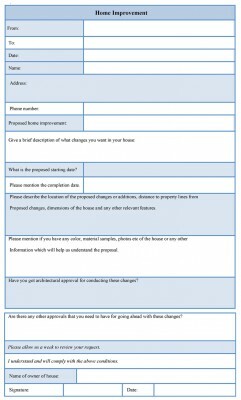 You can get sample Home Improvement Form available online for download. Available in either MS Word or PDF format, they are easy to use and can be edited and customized as required.